As an artist who seems to have been set on the back burner for the past few years, it seems as though Jonny Diaz is finally about to make it big. At press time, his single "More Beautiful You" was sitting comfortably at number #17 on the Christian AC radio charts. After turning down a college scholarship to play baseball at Florida State because he felt God calling him to pursue music, More Beautiful You looks to be the record that proves that following God's will can really pay off. Jonny's unique blend of pop and acoustic brings something fresh to the Christian side of the music market, and it's orchestrated just less than brilliantly on his first major label album. In what could almost be a direct comparison, Jonny nearly echoes the sound of Jason Mraz (known for his mainstream music mega-hit "I'm Yours"), especially on "Love Like You Loved," a song asking for love and compassion like God's own. The remarkably original "Stand For You" incorporates a steady mesh of pop/folk sound along with a beat that the listener wouldn't at first expect from an acoustic artist (except for maybe Riley Armstrong). Lyrically, the upbeat cut "Soon Will Fade" rails against materialism. "Waiting Room" admits that God is all-knowing and always has a plan, while "More Beautiful You," a song written specifically for girls, encourages self-esteem and urges the audience to find contentment in God's purpose and happiness with their true inner beauty. Particularly, the lyrics of "See the Wind" showcase Jonny's songwriting talents ("I can not see Your presence / But I know where you have been / And I long to be Your feather at the mercy of the wind"). Bonus track, "The Opener," another song highly reminiscent to the sound of Jason Mraz, allows Jonny to let loose a little with genuine but comedic lyrics, and ends the album on a fun note. It really isn't easy to find areas of criticism on More Beautiful You. However, despite the originality of the lyrics and sound of some tracks, many of them tend to blend together and don't all have their own identity. While it may seem like a minor thing to be criticizing, a little more effort wouldn't hurt on the next round. Every little bit of uniqueness counts. 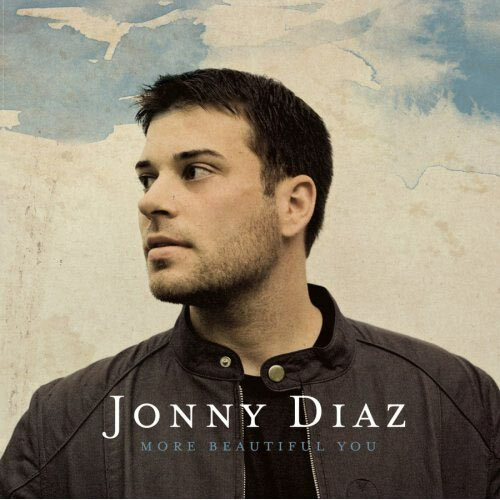 Overall though, the extreme relevancy and potential impact of the music found on this record seem guaranteed to make Jonny Diaz a soon-to-be household name within the genre of contemporary Christian music. His lyrics will certainly connect with people and draw them in. Jonny has created the opportunity to attract a wide new fan base with More Beautiful You, and if the success continues, look out for a possible "New Artist of the Year" nomination at the 2010 GMA Dove Awards.